Many Beliebers have been waiting anxiously to find out if their idol would be deported to Canada, but three months after a petition asked the Obama administration to send the pop star back home, the White House has responded with a firm "no comment." Nearly 300,000 people signed a 'We the People' petition calling on the White House to respond to demands that the pop star be forcibly removed from the US. A number of petitions have been posted on the 'We the People' website, although only a small percentage are able to attract the 100,000 signatures in 30 days required to compel a White House response. 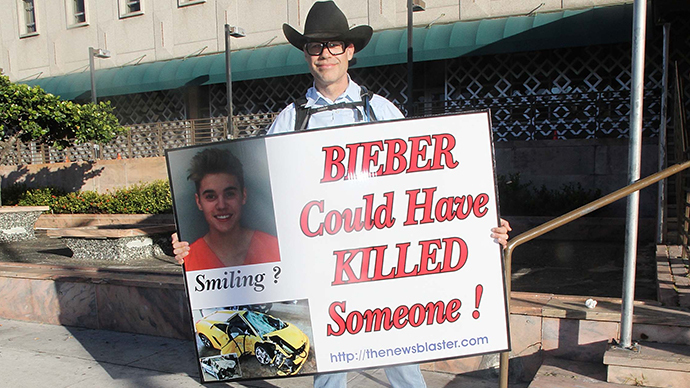 Few of the petitions regard serious issues; many are dedicated to celebrities like Bieber, while others make lighthearted requests such as the construction of a 'Star Wars' inspired Death Star. 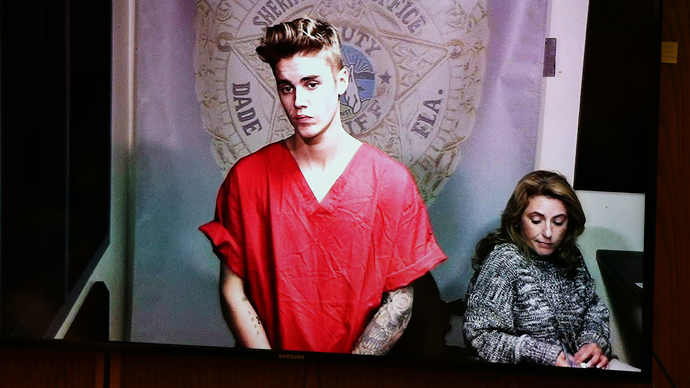 The petition in question, titled 'Deport Justin Bieber and revoke his green card,' was created after the 20-year-old Canadian singer was arrested in Miami, Florida for allegedly drag racing with a friend while under the influence. It was just the latest tabloid drama for the pop star, who had previously urinated on a picture of former US President Bill Clinton and was accused of vandalizing a neighbor’s home. “We the people of the United States feel that we are being wrongly represented in the world of pop culture,” the petition said. “We would like to see the dangerous, reckless, destructive, and drug abusing, Justin Bieber deported and his green card revoked. He is not only threatening the safety of our people but he is also a terrible influence on our nation’s youth,” the petition reads. A link to the petition was tweeted by Drake Bell, a Nickelodeon star in the midst of a feud with Bieber, and endorsed by other celebrities who have had brushes with Bieber in the past. To their disappointment – and to the dismay of American parents, ruffled neighbors, countless pop music critics, and the 273,968 signees – the White House announced Friday that it would not enter the fray. The response then goes on to remind readers about the administration’s efforts to reform immigration laws. Aside from the timing, though, the answer came as little surprise because Bieber lives in the US on an O-1 visa, a privilege that is reserved for “individuals with an extraordinary ability in the arts or extraordinary achievement in motion picture or television industry.” Only a violent crime or prison sentence longer than one year would be enough for a re-evaluation of his visa.